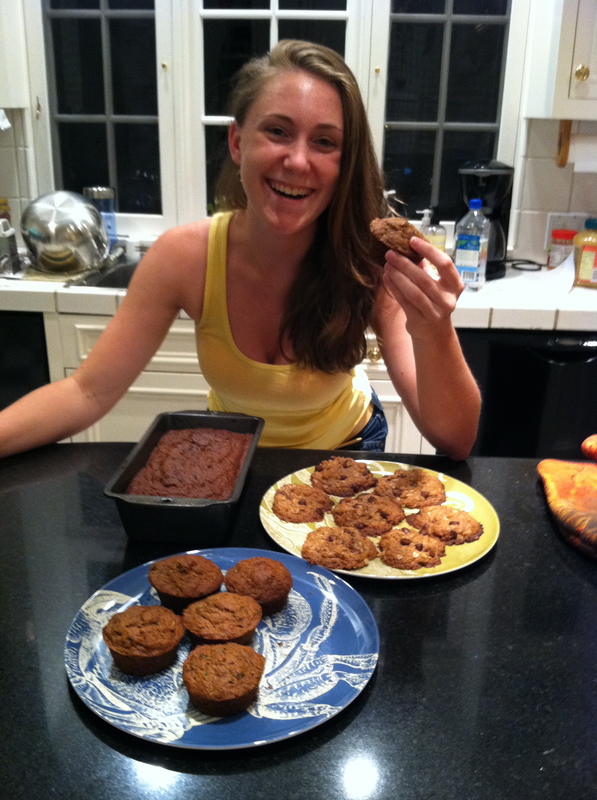 I am very happy with my vegan zucchini muffins, oatmeal chocolate chip cookies, and zucchini bread. Hi, my name is Megan Toombs, and I’m a hungry husky! I am a senior at the University of Connecticut (go huskies!). I am someone who has always loved food and loved to bake. This past summer, I decided my desserts for every meal phase was over (for now at least), when I also fell in love with cooking. Since May, I have been experimenting so much I should be a full fledged food scientist, or otherwise known as chef I suppose. I made a major lifestyle change this summer, and not only in learning to cook in addition to baking. After seeing Forks over Knives and doing my own research into food and health, I decided to change my diet and become a vegetarian. It’s really been an adventure. Getting rid of milk, butter, eggs, bacon, meat, etc… has really been a change, but a good change. I’ve pushed myself to experiment with new foods like tofu, tempeh and hummus. In doing so, I think I’ve learned to be a better and more well-rounded cook, even at the young age of 21. I want this blog to be the place I go to experiment with new foods, to try out new recipes, and to write about cooking in general. Enjoy and happy cooking!